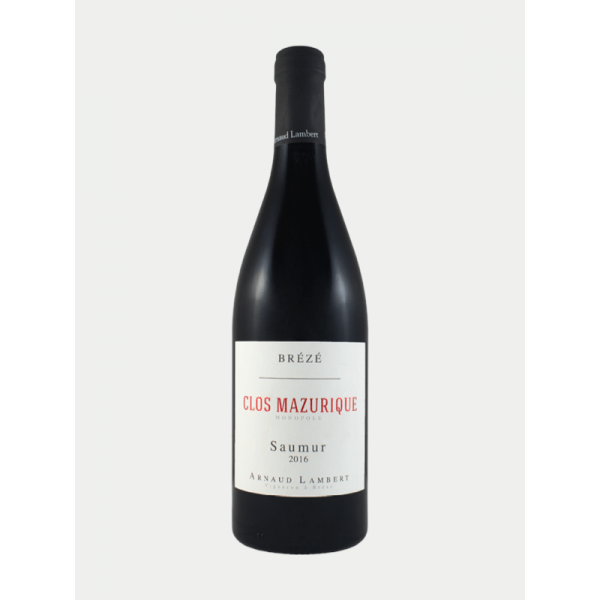 De Saumur Rouge Clos Mazurique van Château de Brézé is een soepele en fruitige Cabernet Franc, een alleskunner. Wij leveren deze wijn met het etiket van Arnaud Lambert, het is exact dezelfde wijn, maar in plaats van Château de Brézé staat de naam van de wijnmaker, Arnaud Lambert, erop. There are few wines in the world that carry this level of class and sophistication. 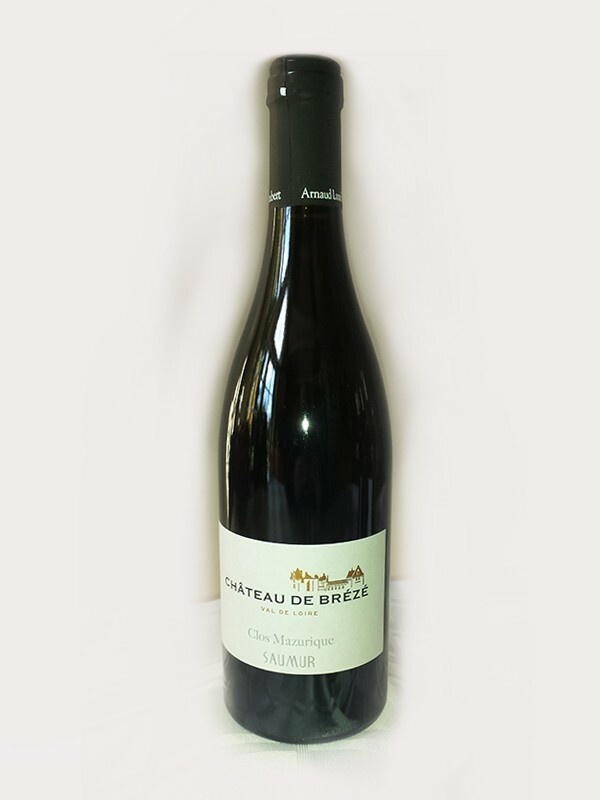 Straight out of the gates this Cabernet Franc overflows with perfumes of red and dark cherry, persian mulberry, persimmon, mandarin orange, strongly-scented red and white flowers, gravel, wet forest and minerals. Yes, this little guy is extremely complex! In young red wines, tannin usually leads the structural elements, but if it's from the hill of Brézé, acidity is first in the pecking order. 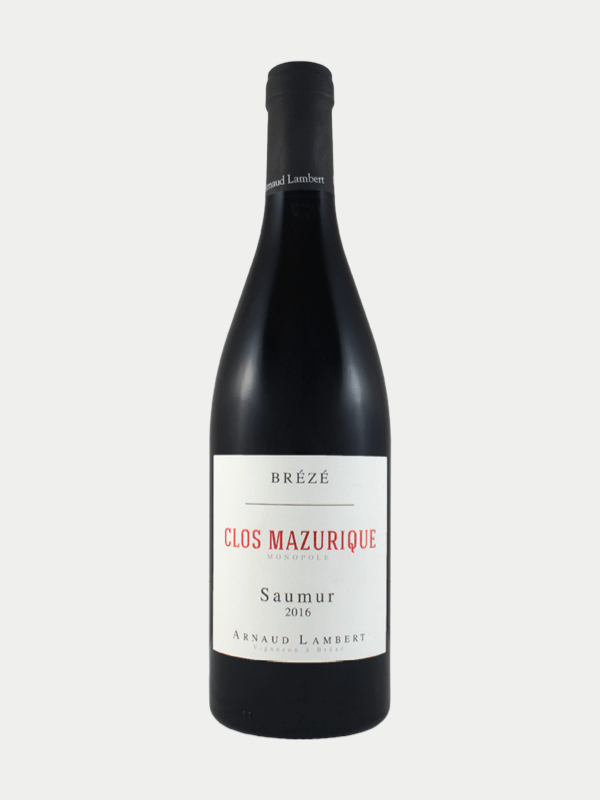 Clos Mazurique's single pump over each day during its short fermentation encourages its acidity to shine even more. In the palate, it feels as much like a white as it does a red, only laced with sappy, glycerol red nuances -Nice combo! It finishes with a soft, graphite-like texture that rounds out the mouthfeel, which only adds to the charm of this finely cut gem.